'Mean Girls' fans will love Ariana Grande's new video — see the teaser! The singer is set to head to North Shore High for her "Thank U, Next" video — and that's not all! It's been 14 years since "Mean Girls" introduced us all to burn books, Pink Wednesdays and more catchphrases than even the coolest moms can keep up with, and now the beloved teen flick is getting a proper pop culture tribute courtesy of Ariana Grande — and she's getting some help from a few familiar faces. 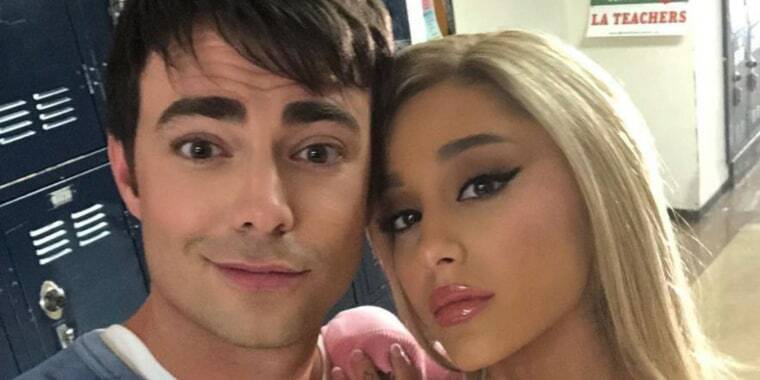 The video for Grande's post-breakup smash, "Thank U, Next," is currently in the works, and the superstar enlisted Jonathan Bennett — aka Aaron Samuels from the film — for the project. And a new promo for the clip-to-come not only showcases Bennett, it also packs other notable names, like YouTube sensation Colleen Ballinger and singer Troye Sivan. Those stars and more look directly into the lens and share some fan worship and North Shore High-worthy gossip about the Grande in the 47-second promo she tweeted Monday night. "Ariana Grande broke off an engagement, so I found a guy to propose to me and I broke off an engagement," one person — wearing a Wednesday-approved pink polo shirt — says. Grande's fans and followers raved about it all in the comments, but they've got a lot more to look forward to when the full music video drops, as a slew of recent social media posts from the set of the video reveal. In them, Bennett joins Grande, who's styled as notorious queen bee Regina George herself, as well as several "Mean Girl" look-alikes. And the pics truly are the epitome of fetch. Grande's video nod to the movie comes just weeks after "Mean Girls" Day, which, as faithful fans know, is officially celebrated on Oct. 3. This year, we rang in the holiday right here with Bennett, who took time out to channel his own character for a few lines from the film and some fun memories. But Grande's "Thank U, Next" isn't all about the memorable meanies from North Shore High. That 2004 hit is just one of the big-screen throwbacks she's honoring in the video. Just take a look at her recent teases for "Legally Blonde," "13 Going on 30" and "Bring It On." As her new teaser promises, she'll be bringing on full clip "soon."